I am trying to identify the origin of a Chinese stone sculpture, stylistically it seems to be from the Northern Qi or Sui dynasty. Under 100x magnification using an USB microscope, the sculpture was covered with “golden gilding”. There appears to be no other pigmented coating on the sculpture. 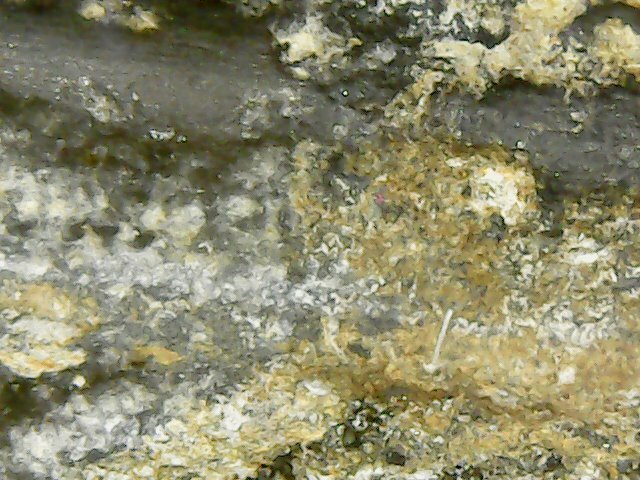 Using XRD analysis showed that the stone consisted of calcite as the dominant mineral, with a density of 2.731 makes it a dark grey/black limestone or marble and absorption of 0.2 % as though the stone was “sealed”. 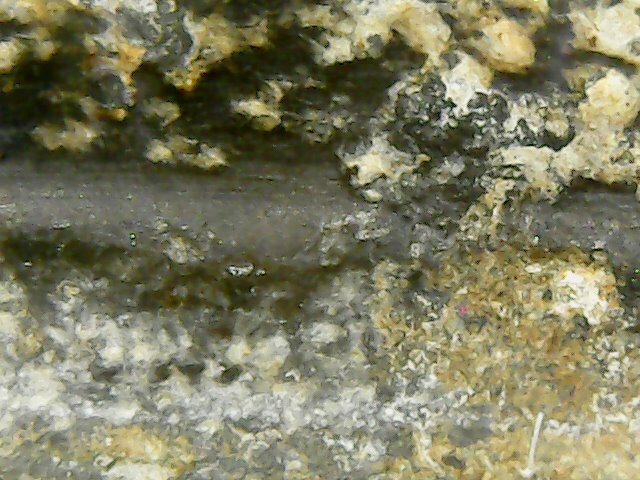 The surface material seemed to be “coated” with a combination off ankerite, dolomite and graphite. I believe the combination of three minerals were used to simulate a gold gilding on the surface of the stone. The ankerite gave a “gold” appearance which was bonded to the surface through a bitumen (graphite) coating. (see att.) The dolomite is often found in the presence of arkerite. Is there any information or other examples of this coating system used in ancient chinese sculpture?